Every Historics at Brooklands auction features something worth a look, and the upcoming sale on November 24 is no exception. There’s everything from humdrum Rovers and MGs to big American muscle cars, along with a fair share of exotica from brands like Porsche and Maserati. The breadth of variation in the lots is astounding , taking in everything from rusting barn finds with no reserve to an Indian State Carriage from around 1825. But for those who want to drive away under their own power there’s a lot of choice – click below to navigate through the gallery. 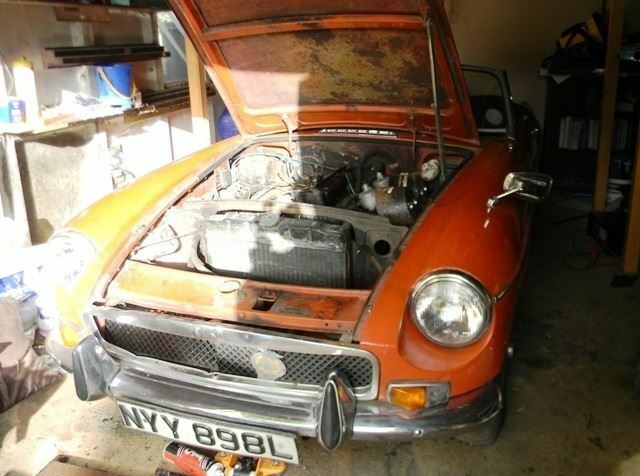 The MGB is a stalwart classic with a diehard fan club – which is good, because this example needs a bit of TLC from someone with patience and a bit of money to spare. It’s selling with no reserve.